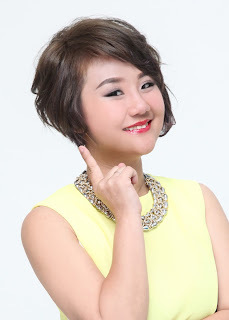 Wendy Pua | Malaysia Chinese Lifestyle Blogger: 5 Shocking Facts About Halal Bi Halal Punggowo Batam 2018! 1. Theme & Philosophy of Halal Bi Halal Punggowo Batam 2018! To be able to remind the citizens of Java how to apply the noble Javanese philosophy in everyday community life. in everyday life personal selfishness often overwhelms us. Lust, the excitement of not caring for others often overwhelms us. URIP IKU URUP is only three pieces of sentences that are different from this vocal, it is hoped that it will remind all of us, how life is like a lantern that illuminates the darkness. How this life continues to benefit others and the universe. 2. Over 160,000 Joining Halal Bi Halal Punggowo Batam 2018! 10th Halal Bi Halal Punggowo becomes a milestone is very important because the committee is determined to break a new muri record in Halal Bi halal Punggowo categories with the highest number of participants. 10th Halal Bi Halal Punggowo predicted that the number of Halal Bi halal Punggowo participants this year was 162,000 people, the number of Halalbihalal participants is more compared to the number of participants in the previous year which reached 152,000 people. 3. 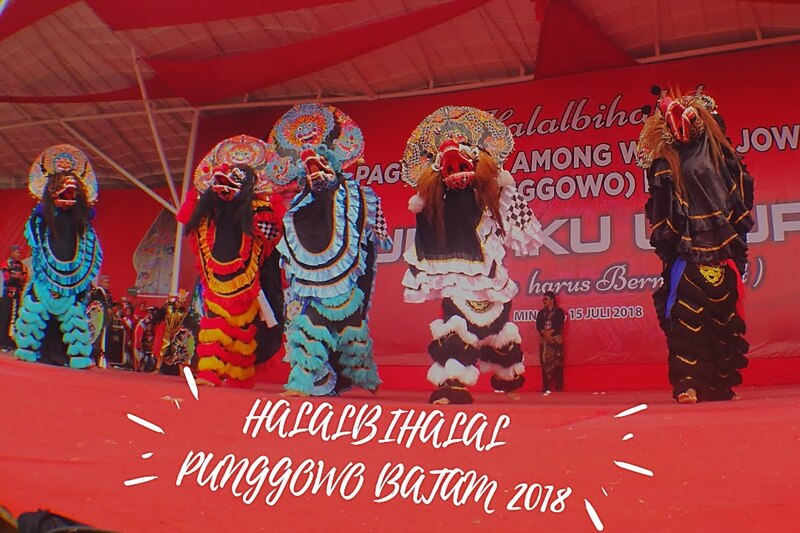 Over 70 Local Traditional Culture Dance & Art Performing During HalalBihalal Punggowo Batam 2018! Traditional Culture Dance & art has also become an attractive aspect for participants Halal Punggowo because, with over 70 local arts group, Halal Bi halal Punggowo participants will enjoy their own areas nostalgia! 4. More Than 300 various Traditional Culinary Stands AT Halal Bi halal Punggowo Batam 2018! A variety of traditional culinary that is very tasty and has a distinctive regional flavour. To realize Halal Bi Halal Punggowo is also the arena of the Kuline Bazaar, at least more than 300 culinary stands are ready to run the creation of various cakes and eating areas from all regions of Indonesia. 5. More Than 100 Lucky Draw Prizes For Halal Bi halal Punggowo Batam 2018! The committee also provided lucky draw prizes including one car as the main prize, more than 30 motorbikes, and hundreds of other electronic gifts. 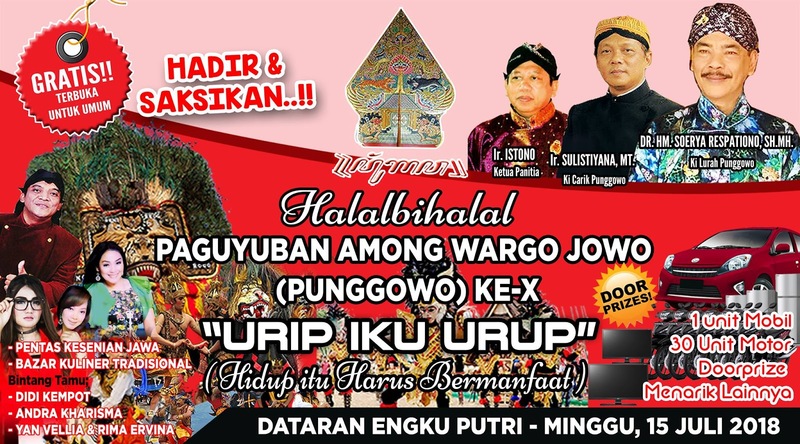 The increasing value of Halal Bi halal Punggowo prize every year, thanks to the support of various parties, They are very enthusiastic to be involved in this event. The Halal Bi halal Punggowo committee received full support from various walks of life, who contributed to mutual cooperation for the success of this event. Even some motorcycle communities in Batam who regularly contribute voluntary contributions from its members. This spirit will continue and always be preserved for the sake of unity among the Javanese. Thanks BP Batam For Inviting Me to Witness This Big Culture & Food Festival! Halal Bi Halal Punggowo Batam 2018! This Trip makes me, I understand more about their culture and food in more details. Very Interesting Annual Event that You Shouldn't Be Missed it For Next Year Punggowo Batam 2019!